Handloaders can now roll their own with the bullet design that changed hunting ammunition forever. 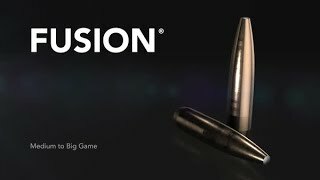 Fusion® component bullets provide the largest expansion and highest weight retention in their class. With a molecularly fused jacket and a pressure-formed core, Fusion transfers maximum energy on target and provides tag-filling accuracy.